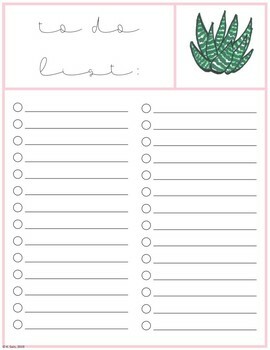 This to-do list is fun and adorable! It makes the perfect addition to your desk! I like to print these out weekly and either keep one on my desk or hanging next to it! This page is a standard size--8.5 x 11.